Be transported to a land full of mystery and magic in search of Santa. Join us on our 4 day adventure to Pyha, in Search of Santa. Have fun with Santa’s Special Elves as you endeavour to find the great man in his majestic Lappish homeland. Following your flight to Lapland, join your personal tour guide for the transfer to Pyha, a destination set deep in the fells of the National Park. A brief stop will be made enroute to Pyha, to collect your over garments and boots. Settle into your accommodation and later this evening, relax and enjoy a buffet dinner in the hotel restaurant. Lapland really is such a magical place and we have a bright and early start today, as a host of activities await us. After a fortifying breakfast, we’ll depart by coach for a secret location where we have been advised Santa has recently been seen. What does this winter wonderland have in store for us today? Well, Huskies and reindeer will be waiting to greet you perhaps we’ll even see Speedy Sam rushing through the snow, as he makes the last preparations for Santa’s expedition around the world on Christmas Eve. See where the huskies live and meet some of the dogs, prior to an energising husky safari. Learn about the lives of the reindeer during your 90 min experience then enjoy a more sedate sleigh ride through the forest, past trees heavily laden with snow. Lunch will be served at location and on return to resort enjoy dinner in the restaurant. This morning we resume our search for Santa. Did you meet the Elves at home yesterday? If not then let’s hope they’re in today. If so, then you’ll see where Wendy Wood creates some of the traditional wooden toys, for the boys and girls who have made it on to Santa’s ‘good child’ list. Where do the Elves rest their weary heads at the end of the day? You’ll soon find out. Visit the Magical Post Office and discover where the mail is sorted by the Elves. When we finally discover Santa’s secret home, he will be delighted to hear all the children’s special wishes for Christmas, during your private family meeting with him. This evening enjoy the festive Gala dinner. Spend the morning relaxing in Pyha before it’s time to say goodbye to Lapland and our new found friends Snowy Bowy, Tricky Dicky, Speedy Sam and Noisy Nod. Lunch will be taken prior to departure. Enroute to Rovaniemi Airport your tour guide will provide you with your souvenir CD of the Elf Song. Also, a short stop may be made, to purchase any souvenirs, prior to the return flight home. It’s no wonder why Santa has chosen to reside in this marvellous location just above the Arctic Circle. 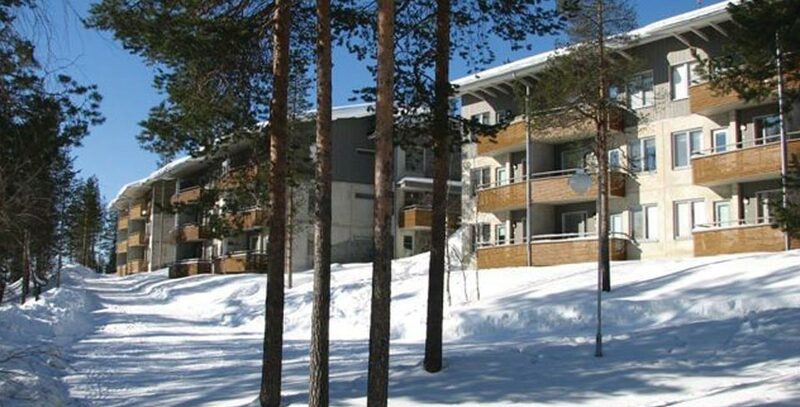 Pyha is a pretty village which is set in stunning scenery on the edge of the National Park Area, well-known locally for it’s excellent ski & spa facilities. It’s no wonder why Santa has chosen to reside in this marvellous location just above the Arctic Circle. 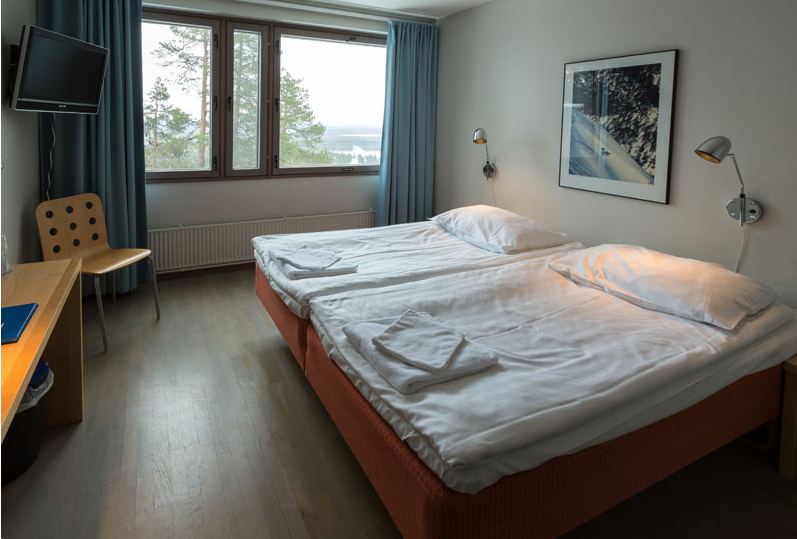 In Pyha you can experience some of best accommodation that Lapland has to offer. 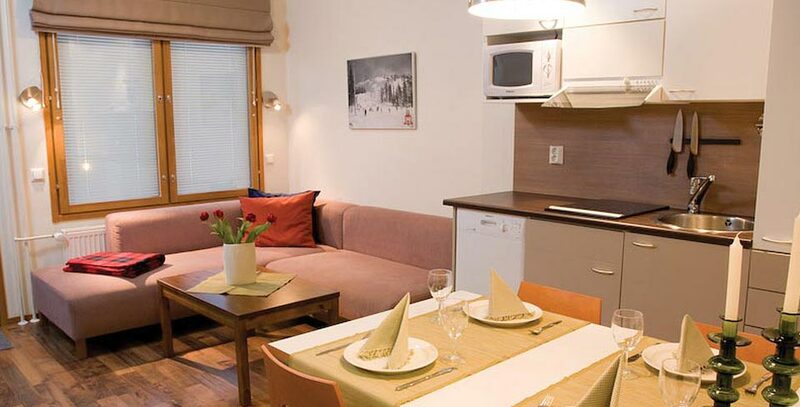 Choose from a luxury apartment, to a traditional log cabin or a relaxing hotel room convenient to resort. No matter where you choose to stay you won’t be disappointed by all that Pyha has to offer. Pyha log cabins are open-plan and vary in style, layout and decoration. Each cabin is comfortably furnished and beds vary from double beds and bunk beds (very traditional & Lappish in style) to beds/mattresses in the loft area suitable for adults and children alike. 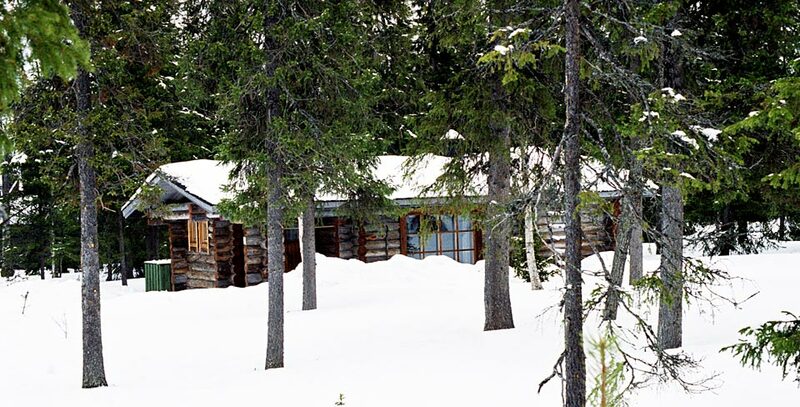 Cabins are generally 15 minutes walk from the resort centre and restaurant. Cabins beds vary from double beds and bunk beds (very traditional & Lappish in style) to beds/mattresses in the loft area suitable for adults and children alike. All cabins have a kitchenette, seating area, log fire, sauna & a bathroom with shower and toilet. The Pyha Hotel features a selection of rooms for 2/3 persons. It also offers a small number of family rooms, which can accommodate 4 people. This is an excellent choice should you wish to have easy access to the hotel restaurant. Pyha Hotel rooms for 3 are comfortably furnished with twin beds and an extra bed. Each has a TV and an ensuite shower room. Family rooms at the Pyha Hotel feature twin beds and either a double sofa bed or extra beds. Each has a TV and an ensuite shower room. A great alternative to a cabin or hotel room for up to 5 persons. The Pyha Suites are conveniently located in a separate building close to the hotel and are contemporary in style. Two separate bedrooms one with twin beds and one with bunk beds (lower double bunk with single bunk above). Sauna, kitchenette and private shower facilities and drying cupboard. Stereo system/CD player and TV/DVD/VHS player for entertainment. The Pyha apartments are ideal for larger parties, requiring separate bedrooms. Situated just a short walk from the centre of Pyha resort. Three bedrooms, two with twin beds and another with bunk beds. Also sauna, private facilities, drying cupboard, an equipped kitchenette. Plus lounge area with double sofa bed and TV/DVD.